The problem of excess weight is familiar to many firsthand. To go without food people can't, so you need to calculate how many calories you need to consume per day to lose weight. But the required daily amount of calories you need to calculate based on their individual parameters. For the normal functioning of organisms, different people need different amounts of calories. 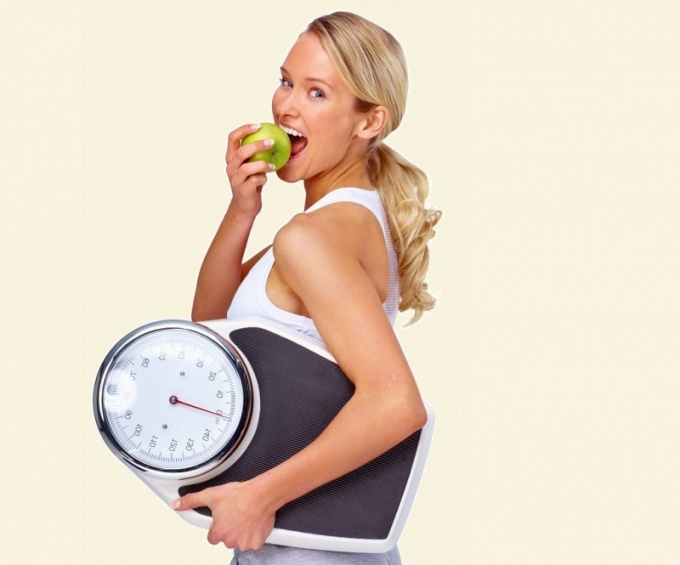 Defining it, you can not only control your weight but also reduce eating fewer calories. Please note that your individual need for life energy, which you replenish by eating different foods depends on several factors. These include the rate of your personal metabolism, physical activity level, the degree of digestion in your body. The rate of metabolism (BMR) determines the amount of energy needed for your body to maintain the life process. According to calculations, about 60% of total consumption, the body uses just to breathe, maintain a constant temperature of the heart and heart rhythm, hormones. In recalculation on 1 kg of body weight should be 20 calories. If your weight is 65 kg, then 1300 calories you need daily just for normal functioning. However, every 10 years after 20 the necessary number of calories is reduced by 2%. Calorie consumption depends on the degree of physical activity. If you lead a sedentary and sedentary lifestyle, to maintain it you need the amount of calories calculated by BMR to increase by 20%. In the case when to work and back you travel by foot or make a daily evening walk, doing homework, the number of calories increase by 30%. At moderate activity, when you work a lot around the house or in the garden increase daily amount of calories calculated by BMR at 40%, while high physical activity – 50%. Part of calories entering the body, is spent on the digestion and absorption of food. Their number is about 10% of the previous calculation. Calculate the total amount of calories you need daily, taking into account BMR, physical activity, and 10% spent on digestion. Calculate how many extra calories you gained. 1 kg of fat contains 9000 calories. If your weight is 10 kg more than normal, you should get rid of 90,000 calories. Determine the time necessary to bring yourself back to normal. Suppose it will be 1 year, or 365 days. Therefore, every day you should be gleaning from the estimated number 247 calories. Use these calculations to lose weight and then keep normal.